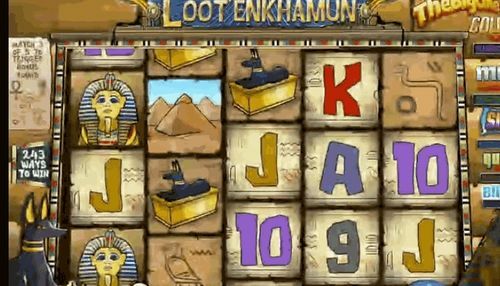 Seek the treasures of Ancient Egypt with a cheeky leprechaun who spreads Irish cheer and lucky shamrocks in this anachronically awesome slot from Play'n GO! We admit, this is rather unusual combination, but when you think about it… why choosing between two awesome game themes, when you can combine them and enjoy the best of both? 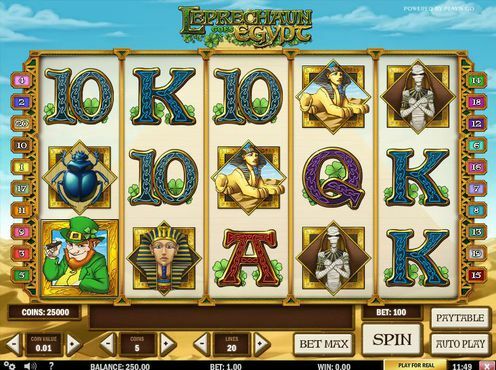 That’s exactly what Play N Go did with their Leprechaun Goes Egypt slots! Here, our leprechaun has made the trip to Egypt to track down the tomb of Cleopatra and you ought to help him! Leprechaun Goes Egypt slots has five reels and twenty paylines. The ornately-framed reels are set against a backdrop of blue skies and sand dunes stretching into the distance. The design is mostly Egyptian, with a delightful Irish twist. The animations are also superb, with a golden mask growing a big ginger beard and painting the Sphinx green, which keeps you entertained while you spin. The audio is more Irish than Egyptian, playing a jolly tune while you spin. The high value symbols are all Egyptian-themed and include a scarab beetle, a mummy, the Sphinx and an ornate mask. 10, J, Q. K and A the lower values, which are designed in a Celtic fashion. The leprechaun is wild, the scatter symbol is Cleopatra and a bonus symbol is represented by pyramids. All wins which include the Leprechaun are doubled. As the wild, it substitutes for everything except the bonus / scatter symbols. You’ll win a generous 3000 coins for five leprechauns on a payline. Before you join the adventurous leprechaun on his journey to the Ancient Egypt, you need to choose your bet. “Coin Value” lets you adjust the coin size, which ranges from 0.01 to 1. The number of coins wagered is set with the +/- “Coins” buttons. Clicking on the “Lines” buttons adjusts the number of active paylines. “Spin” starts the game, “Bet Max” selects the highest available wager and “Auto Play” allows players to spin for a preset number of times uninterrupted. 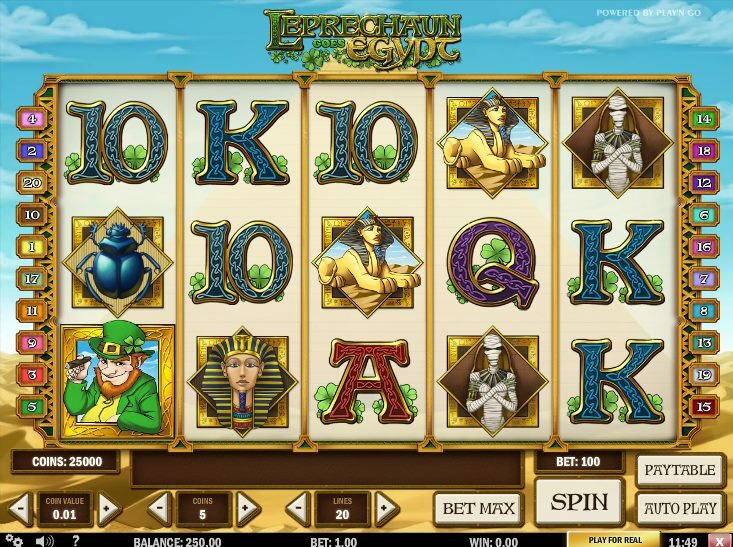 If you’re feeling lucky, there’s a “Gamble” option in Leprechaun Goes Egypt slots. Guessing correctly whether the face-down card is Red or Black will double your win. Moreover, guessing the card suit correctly quadruples the amount. However, if you guess wrong, you lose and the round ends. Luckily, you can click “Collect” at any time to end the feature yourself and save your winnings. 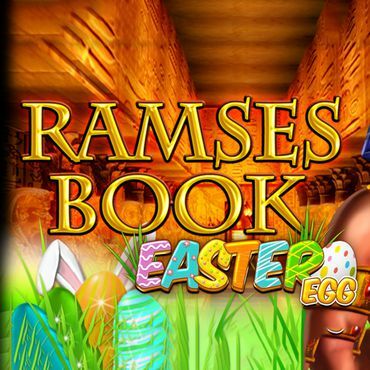 Like most Play N Go slots, this game has 20 paylines and as we already mentioned, you can choose how many to play. You’ll be able to play up to five coins for each line, and choose the coin value from 1c to 25c. The Sarcophagus mask (golden mask) is the best of the standard symbols, this is worth 750 coins for landing five on a payline and 250 coins for four. 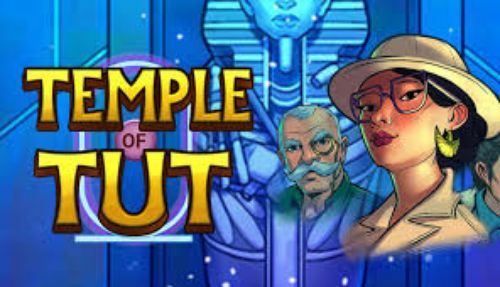 Next comes the Sphinx, awarding 500 coins for five, whereas the Mummy and the Scarab beetle pay 250 coins for five-of-a-kind combination. The pyramid symbols appear only on reels one, three and five and if you manage to land them you will trigger this mini-game. 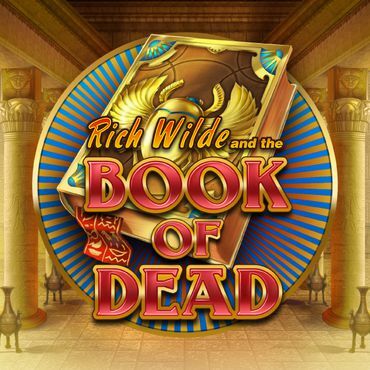 Here, your task is to guide the leprechaun through an Egyptian tomb with the aim of finding Cleopatra. You need to choose between four doors and find the prize. But be careful, because the round is over when the mummy appears and chases you off. At the next level, you pick from three doors, then two and finally have to ‘defeat’ the mummy. The top prize is a worthwhile 500x your total spin amount. During the spins, Cleopatra turns into an Irish maid which should increase your winnings a bit. Unfortunately, the spins can’t be re-triggered. 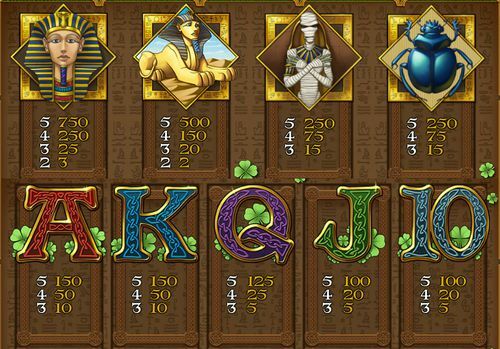 With a return to player rate of 96.7%, Leprechaun Goes Egypt slots is worth giving a try. Especially as it’s medium volatility, which means that you will get some good action with many small wins, as you wait for those higher paying bonus games. You can play it online, on your mobile phone or tablet. That’s a big plus point right there. 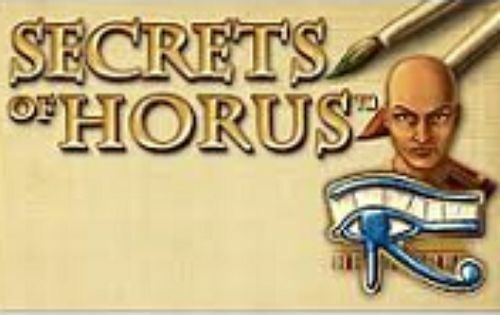 All in all, with its great graphics, interesting Irish / Egyptian slot theme that just works, this is a fun and unique game to play even on a smaller budget. In fact, although we were a bit skeptical at first, we’d like to see more genre crossovers such as this. How do you feel about this delightful mix? 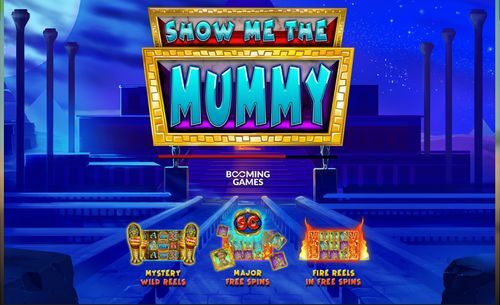 Give Leprechaun Goes Egypt slots a chance and explore Ancient Egypt combined with the good-old Irish fun!